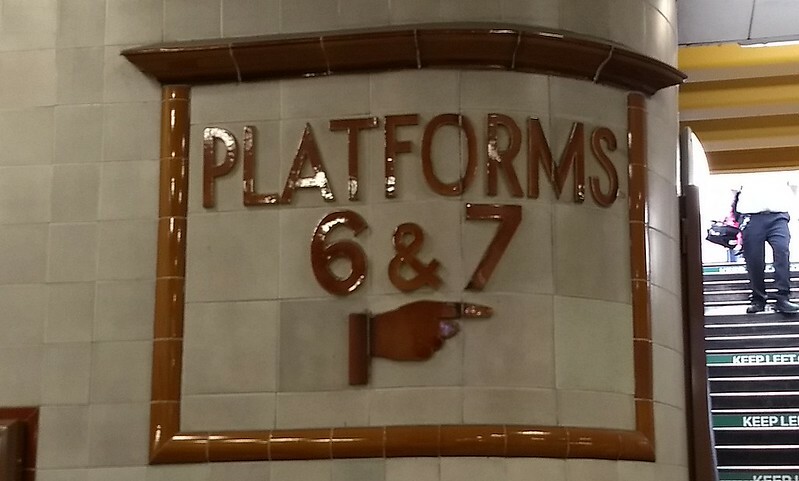 My blog posts from our Britain and Belgium trip continue, but it wouldn’t be one of my holidays if I didn’t geek out on transport-related stuff. 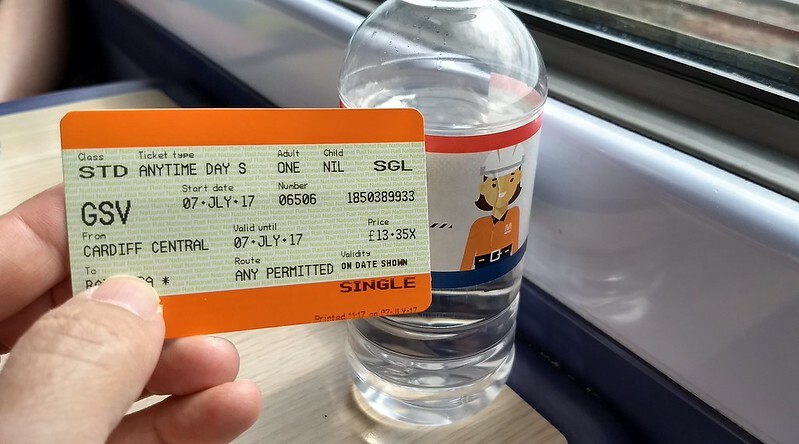 So here’s a post on the vagaries of rail fares in Britain… or at least, what you need to know as a tourist. Buying rail tickets at home in Victoria is easy. For most trips you don’t even buy a separate ticket, you just use a Myki card for any trip in Melbourne and as far out as the “commuter belt” cities of Geelong, Ballarat, Bendigo, Seymour and Traralgon, and local buses and trams are included in the price. Further afield you book a ticket with V/Line. There are some exceptions: a fare on the XPT has to be bought from NSW Trainlink, though V/Line can sell you a ticket on Great Southern Rail’s Overland for a trip within Victoria. For most of the longer trips, there’s peak and off-peak, that’s it. First Class applies on some trips, as a simple surcharge on top of the regular fare. As we found during our holiday, the UK has a lot more rail operators, and a lot more ticket types. But then, it is a much more complex and extensive network. The UK rail system is made up of dozens of operators right across the country, branded collectively as National Rail, and using the old British Rail logo, first devised in 1965. 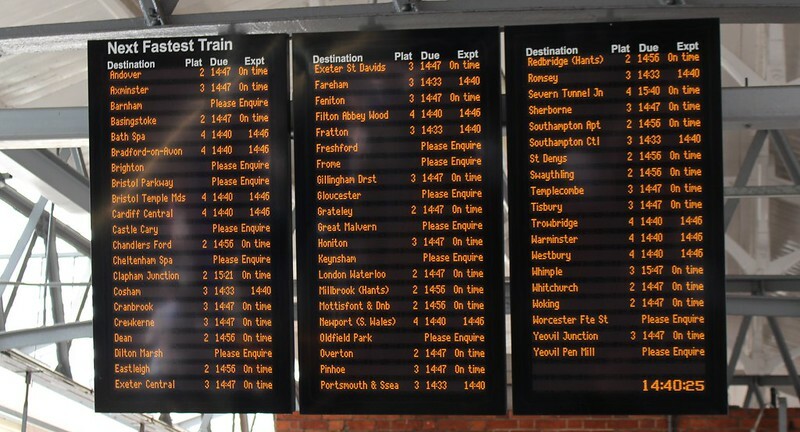 The many operators share tracks in many cases, as well as stations – each station has a single operator managing it on behalf of the various operators serving it. The fares are a bit confusing at first. Fare pricing is set by the individual operators, and initially it seems a bit like airline pricing, though in fact it’s not quite as complicated. On routes run by multiple operators, the main one (“the lead operator“) sets the prices, which then applies to all other trains on the same route. Overseas tourists visiting Britain can get Britrail passes, covering various areas or the whole country. There are also various other passes available to locals and visitors alike. The passes are not cheap though, and I worked out that based on our plans, we wouldn’t save any money (and it might be more expensive) over buying individual tickets, provided most of our trips were off-peak. Advance – bought before the day of travel. Discounted, but inflexible, as you’re tied to a specific train (which also means a specific operator), and you can’t get a refund or even change it after you’ve booked. 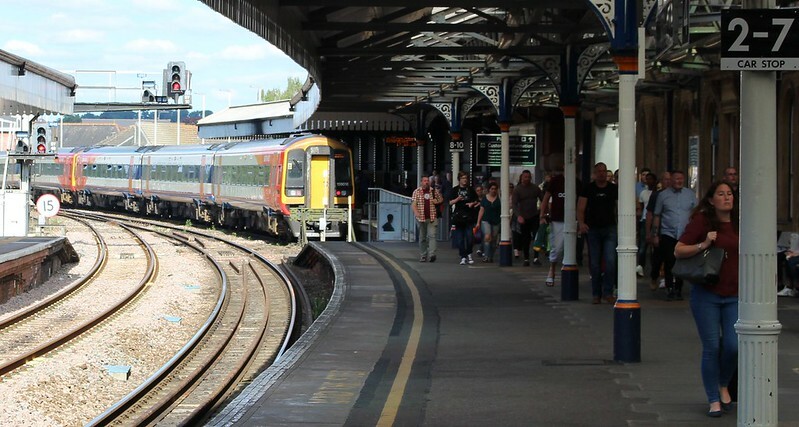 Not necessarily available for all trains – unlike the other types of fare, it’s up to the individual operator to decide how many tickets to make available, and at what price. Some routes offer first class seating, for which you’ll obviously pay a higher fare. We didn’t opt for this. Standard Class was pretty good. The only exception was a couple of trains that were very crowded, but they were shorter trains that didn’t have first class seats anyway. 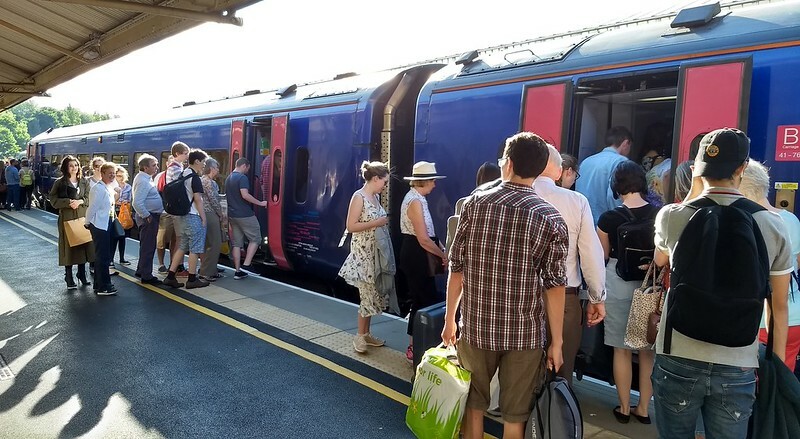 The only exception, where booking in advance and reserving a spot was useful for us, was the sleeper train from Penzance to London – because we knew which night we were catching it, and there was only one train to choose from, and it guaranteed a berth. So, did avoiding Advance tickets mean we missed out on the cheapest fares? Actually, mostly not. Because we were travelling always in a group of four, and almost all our trips were on Great Western Railway, we were able to make use of GWR’s GroupSave discount… not all operators have it, but on those that do, for groups of 3-9 people, it reduces prices by a third, bringing normal Off-Peak fares down to about the same price as Advance fares. Return tickets (including “open return”, where you come back on a different day) are usually only a bit more expensive than a single fare. The return trip isn’t tied to a specific train, though it may exclude peak times. For our trip it was almost all single fares, but it’s useful if you’re doing some backtracking. While all train operators sell tickets for all the other operators, and they share ticketing infrastructure so that for instance all tickets work in all fare gates, the fares themselves are often not integrated. If your journey includes two “lead” operators, it appears you’ll pay the cost of the two individual legs, simply added together. This makes it more expensive than if both legs were on one operator. As with local buses, I would expect this is a disincentive to use the trains for some trips. Speaking of buses, there is some fare integration, with a scheme called PlusBus which gets you a discounted local bus pass with your train ticket. For trips to London you can also get a discounted London Travelcard. Both of these only apply on the same day as your train trip. Buying fares online is possible, and you can then collect the tickets at a vending machine – a good option for tourists. One limitation of this is won’t let you buy online less than an hour before the train is due. All the train operator web sites will sell you a ticket, including for any other operator. There are other web sites that have extra smarts for looking for cheap deals, but some of them also add small surcharges. You can also buy tickets at the vending machines of course. A downside of this is that most of the machines can’t handle the GroupSave deal. To their credit, the operators of the stations involved always seemed to have plenty of staff in the booking offices. I never waited more than a couple of minutes, and the people on duty were all very helpful – and knew about the GroupSave discount, even at Cardiff Station which is run by a different Train Operating Company (Arriva) than the one we were booking for (GWR), though Arriva have a similar deal with a different name (Small Group Day Ticket). One side effect of GroupSave only being valid on certain operators: in some cases you can only catch a train run by that operator. 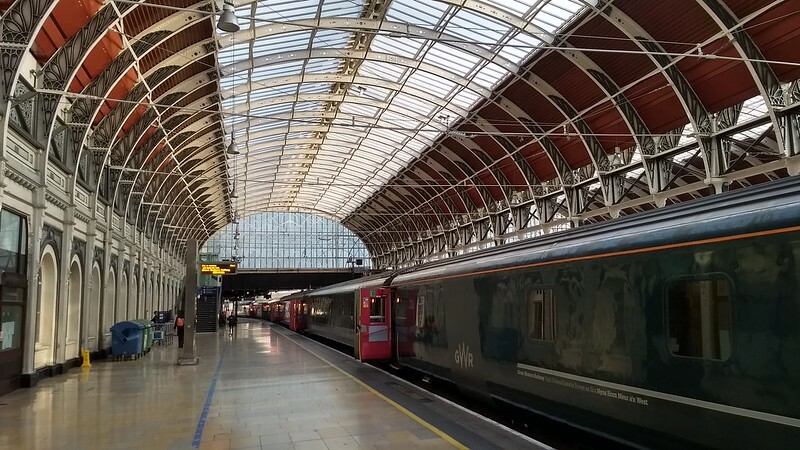 We did a trip from Bath to Taunton (via Bristol Temple Meads). The discount was only valid on GWR trains, not other trains on that route run by CrossCountry. Still reading? Okay. Finally, here’s a neat moneysaver. Seat61 notes that in some cases it’s cheaper to buy two tickets for a single trip. It’s a quirk of the pricing system. In most cases I didn’t look into this option, but I did check for one trip from Taunton to Penzance, which involved changing trains along the way at either Par or Exeter St David’s. It turned out to be quite a bit cheaper to buy separate tickets for each leg of the trip. This we did by exiting the station at Exeter, buying fresh tickets and then going back in again. But if you have bought the tickets in advance, there’s no need to even do that. In fact you don’t even need to hop off the train; you just need to be on a train that stops at the relevant station. Apart from buying the second lot of tickets, we were also able to use the 20ish minutes at Exeter to buy some lunch, though we didn’t venture out of the station as it was pouring with rain at the time. So in our case, booking the full trip for the four of us would have been £124.80 total including GroupSave. Buying it in two parts ended up costing us £86.40 total. A saving of £38.40, or about A$62, about 30% of the fare. And we got to step outside the station gates and buy sandwiches, which I believe we technically couldn’t have done if making the trip on one ticket. Would we want this complexity here? You can see some advantages to the British way of doing things. Cheap advance discount fares encourages patronage and gives the operators some certainty over who will turn up. GroupSave and other discount schemes make it more affordable for groups to use public transport. But it is quite complicated for passengers to understand. And return tickets only being slightly more expensive than singles, well that’s a bit odd given it costs a rail company twice as much to carry you on two trips. And UK pricing is completely illogical in some cases — in part thanks to the myriad of operators all applying their own commercial decisions to their pricing. We’ve got our quirks too of course, but the key is keeping it simple for passengers, and ensuring that there’s a good return to operators (and government) as extra services are added, to encourage further investment. If you buy daily tickets (currently available as Metcard only), the per weekday cost is Zone 1 $6.80, Zone 2 $4.80, Zone 1+2 $10.60. Obviously there’s no reason to do this on a regular basis, since you can save a substantial amount of money by using the bulk fare options. That is, if you usually travel by PT every weekday, but not usually on weekends, and occasionally take the day off (as well as public holidays) what’s the cheapest way to do it? 10×2 hour (or Myki Money), or Monthly/Yearly (or Myki Pass)? Using a 10×2 hour Metcard (or Myki Money), the per weekday day cost is: Z1 $5.88, Z2 $4.04, Z1+2 $9.92. Obviously a key advantage here is that unlike the other bulk options, they don’t have to be consecutive days, so if you travel only semi-regularly, these tickets are a good option. However if you absolutely never use PT on a weekend, and there is a public holiday in the week, this option turns out more expensive — indeed it’s more expensive than buying individual tickets — eg four days on a Weekly would cost you $7.35 per day for zone 1. March had 22 weekdays (23 less Labour Day). Due to Easter and ANZAC Day, April only has 19. Let’s assume the average month has 21. On a Monthly Metcard, the per weekday cost is (approxiamately) Z1 $5.22, Z2 $3.50, Z1+2 $8.05. And it’s still cheaper than the 10×2 cost, even for April. You’d have to get down to 18 working days (with no weekend travel whatsoever) for it to be more expensive on the Monthly. (Z1+2 is discounted more; you’d have to get down to 17 working days). Plus you don’t have to buy a new ticket every week(ish). With Myki the per day rate is published on their web site, because you can buy any number of days from 28 to 365 (anything above 325 is free). If you assume no weekend travel, then the per day cost to the user obviously goes up, since you’re paying for weekends but not using them. But here’s something that someone cleverer than me noticed: if you buy 33 days, and start it on a Monday, thus ending on a Friday 5 weeks later, you can avoid paying for one weekend you don’t need. (Even if you do need to travel on that weekend, with Myki Money it’s a maximum of $3 per weekend day, so that travel is cheaper than it would have been on the pass). If it’s in a 5-week period with one day off in that time, the cost per weekday comes out at Z1 $4.95, Z2 $3.30, Z1+2 $7.65, and you get travel in your zone(s) on four weekends included. And because the per-day cost is slightly lower than the Monthly Metcard price, it’s cheaper than the Myki Money rate unless you travel only 18 days or less in that 5-week period (17 for Z1+2). 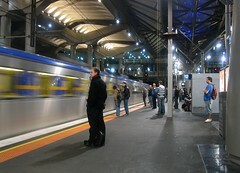 The catch is that if you use a Myki card that has an unused Pass on it, the system will start using it, so you need to be careful to buy and use the Pass when you want to, not start it too early by accident, unlike Metcard, where you can buy your ticket in advance and choose not to use it until you’re ready. If you want to pay for your travel a year in advance, there’s no need to pay the retail prices. If you work for a large organisation, ask them if they offer Commuter Club; if you don’t, get it through PTUA Commuter Club. You’ll save 9-10% that way. Let’s assume you don’t work the whole year. Let’s say you take 4 weeks off, as well as public holidays (this year there are 10 on weekdays), plus say 5 extra days of leave (eg sick leave or additional leave) making about 225 days per year. The cost per weekday then comes out at Z1 $4.84, Z2 $3.28, Z1+2 $7.40, with of course any travel on weekends or during your leave period included as well. Obviously the more you travel, the less per day it costs. Don’t be. The usual rule for bulk buying applies: the more you pay in advance, the more money you’ll save over the long run. Whether you can afford it and whether that’s the best use of your money is another question. Here’s a graph which may make it a tad clearer. To be clear, these figures make the assumptions given above. I suspect for most people, the monthly(ish) ticket is the sweet spot, giving a 12-18% discount from the 10×2/Myki Money price, though for those who regularly use PT on weekends and when they’re on holiday, the discounted Yearly option may be quite compelling. And remember, for monthly and longer options, you can apply for compensation when the operators miss their performance targets. Those who are eligible for train compensation for March, for instance, get two extra days of travel. With the cost of casual weekend travel dropping to $3, it would make sense for the government to bring down the price of Weekly/Monthly/Yearly tickets to make up for that. The more compelling they can make Monthlies and Yearlies in particular, the better, as promoting that kind of bulk pre-payment reduces the number of transactions that need to be made (reducing costs) and encourages loyal customers onto PT. 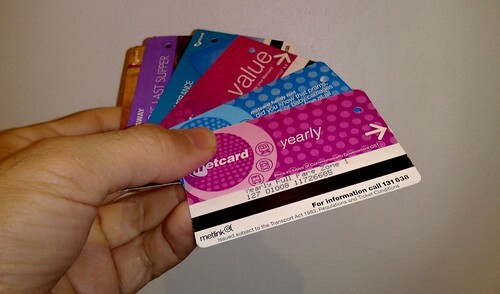 Price references: Metcard fares. Myki fares. PTUA Commuter Club Yearly. Note: Myki is still only valid on trains, so if your regular travel involves trams or buses, ignore those options. Even if you only catch trains, be very wary of Myki at present — it’s still got problems. I have a vague feeling I might have posted something like this in the past, but I can’t find it, so here it is again. Everyone knows two-hour tickets are rounded up to the next hour [p13]. But if you validate a two-hour ticket right on the hour, it’s valid for three hours. If your service was due to depart before the expiry time, but is later than that, or is cancelled, you can still use the ticket for that trip. [p13, p95] Update: This clause is removed under Myki. This means that a Weekly (etc) ticket that says it’s valid until Wednesday is actually valid until 3am on Thursday morning. On weekends, a weekly, monthly, yearly ticket is valid in both metropolitan zones. [p15] (At one stage this benefit was to be abolished but they changed their minds.) Update: This benefit is removed under Myki. If you live in zone 2, you can buy a zone 1+2 off-peak daily for slightly less than a “normal” daily (about the same discount as a 10 x 2 hour), but only from railway stations, and you can only use it after 9am. For weekends, a Sunday Saver (currently $3.10) or a 5 x Weekend Daily ($15.00) is a good deal. What did I miss? What did I mess up?